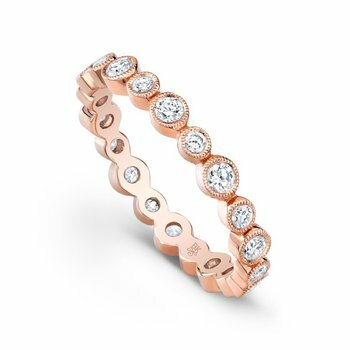 Chic and stylish, this 18k rose gold band is adorned with alternating small (approx. 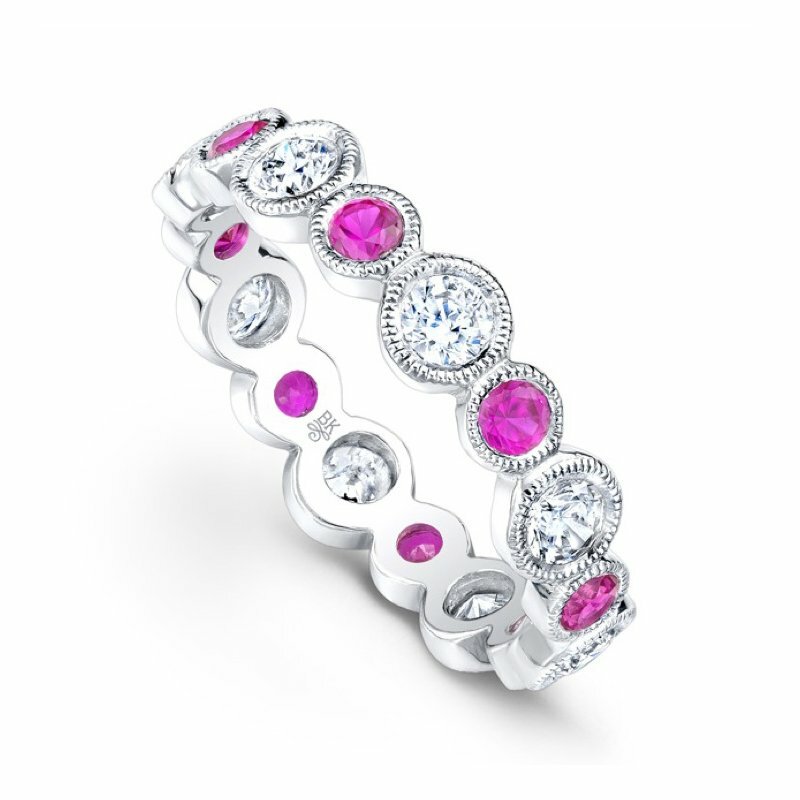 3.2.mm) bezel pink sapphires and large (4.2 mm) bezel diamonds with hand milgrain framing. 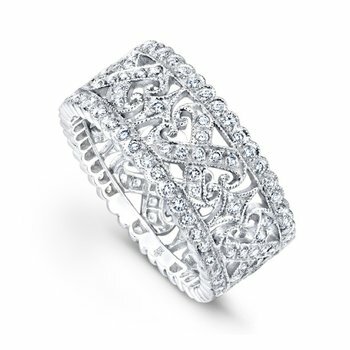 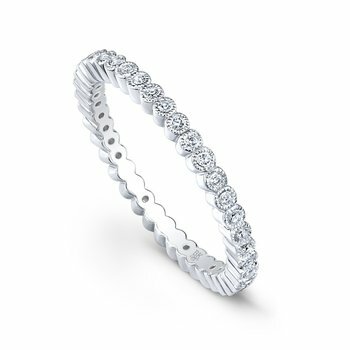 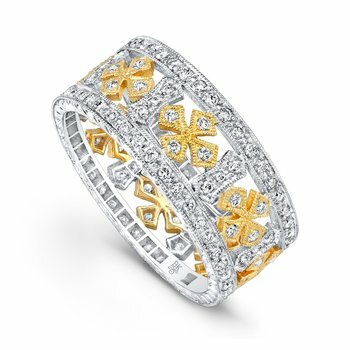 Design is available in 18k white, rose, yellow gold, and platinum.